Download Z3X Samsung tool pro with loader 24.3 version and 27.2 with just 1 click, in this method, you will be described how to get rid of “SIM Network Unlock Pin” as well, you can use this software with multiple Samsung smartphones, not only unlocking sim network, but you can also flash your device, and bypass Google account Samsung Galaxy, but to remove Google account frp, your device must be rooted, lets download Samsung Tool Pro from below. 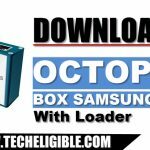 -Click below to Download Z3X Samsung Tool Pro software with loader. Note: If you need Z3X LG 2-3G Tool 9.5V With Loader, so Click Here. ⇒ Extract Z3X Samsung Tool Pro from archive. ⇒ Install “Samsung Tool Pro 24.3.exe” Software. ⇒ Do not install the software, once installation is done. ⇒ Turn off your any active “Antivirus Software” to avoid interruption while following this method. ⇒ Extract “[email protected] Techeligible.com” archive, then Go to extracted folder. ⇒ Copy from there “Copie de gsm-magic.exe & Z3X 24.3 Loader.exe“. ⇒ Go to C:Drive > Program Files > Z3X > Samsung. 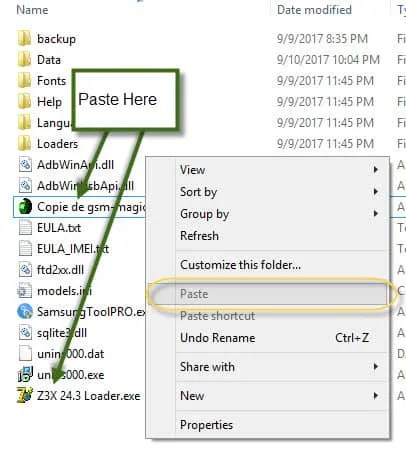 ⇒ Paste there those 2 (exe files) those you copied. ⇒ Run as Administrator “Copie de-gsm magic.exe“, and then click on “ENABLE” button from “TNT!” popup screen. ⇒ Run as Administrator “Z3X 24.3 Loader.exe“, now from “Internet connection” pop up, just click to “OK”, then click on “START LOADER”, after that wait 1-2 minute, till “Z3X Samsung Tool Pro” display. ⇒ Congrats, You have successfully run your “Z3X Samsung Tool Pro v 24.3” software with loader. Warning! : Do not open and close z3x software too many times, otherwise the license will expire, and you won’t be able to use it again. Use only when you need. Worth to Note: If you want to unlock “SIM Network Unlock PIN” error from your SAMSUNG Device, Click here to Unlock Samsung Galaxy SIM Network. 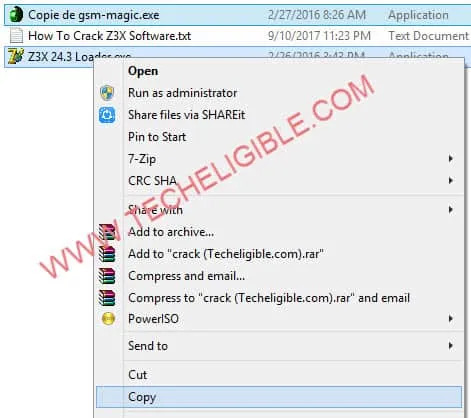 ♦ Extract Z3X Software, and Extract “Crack” Archive as well. ♦ Install “Samsung Tool Pro.exe” software. ♦ Copy (2 .exe files from crack folder), and past into “Z3X Samsung tool pro software) file location. ♦ Run both (.exe Files as Administrator). Enable “TNT! Popup” also. Thank you for visiting us, if this post helped you, don’t forget to say “THANKS” in “Comment BOX”. does it need to be rooted? Dear tnx for 29.5 creck but my mobile is G955FD not listed any helped?? Can upload last version 34.8 ? Please, I want to know if I can unlock my Samsung galaxy s6 sprint with that software? which version works for galaxy note 8? Thanks, for this helpful blog. My Samsung A500F display doesn’t work. I can boot it, but display is malfuncioning. I need to get my files from the device but I cannot unlock the screen, let alone turning on debugging. What can I do? which z3x version you are trying ?